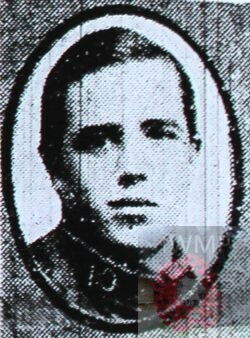 Died: 8th October 1918; age 20; KiA. Residence: 101, Sirdar Road, Ipswich. Employed: Messrs. Cranfield’s Bros., Ipswich. Regiment: Norfolk Regiment; 9th Battalion. 1901 57, Prospect Street, Ipswich. Charles was 2 years old and living with his parents and siblings. Charles John Brooks, age 35, a Sanitary Authority Labourer, born Hadleigh, Suffolk. Emily Brooks, age 34, born Ipswich. Ada Brooks, age 13, born Ipswich. Arthur Thomas Brooks, age 12, born Ipswich. Frederick Brooks, age 9, born Ipswich. Florence Kate Brooks, age 5, born Ipswich. 1911 101, Sirdar Road, Ipswich. Charles was 12 years old, he was living with his parents and siblings. Charles, age 45, a Labourer – Ipswich Sanitary Corporation. Frederick, age 19, a Packer – Jam Factory. Florence, age 15, a Factory Hand – Sack Factory. Jack, age 10, born Ipswich. Charles is also remembered on the war memorial at Dance East, Jerwood Dancehouse, Ipswich. Formerly Cranfield’s Flour Mill.